Punta Isla is perhaps the most popular resort in Lake Sebu, South Cotabato for many possible reasons. One is that, its infrastructure is built beautifully. The garden provides small nooks where children can play hide and seek. It also has an open restaurant for walk-in costumers aside from those who are staying with them. Their restaurant boasts the most number of tilapia recipes in their menu. And speaking of billeting with them, they also offer a reasonable accommodation package with prices ranging from 950/night ($22) good for to people to 2,000/night ($46.50) good for 18 people. Punta Isla also offers catering services, garden wedding packages, baptismal and birthday reception venue, seminar and conferences venue, and other occasions your family wishes to celebrate. It also boasts its floating restaurant with a giant tilapia on its roof, boating, and kayaking. If you wish to go swimming, the resort has a swimming pool too. Considering that it is very accessible, people will immediately think of Punta Isla when they want to spend summer vacation in Lake Sebu. But aside from that, I believe that Punta Isla is a one-stop shop for travellers since it also offers guided tours for their guests. Here is a regular 2-day Lake Sebu guided tour itinerary offered by Punta Isla. Expected arrival is at 11:00 AM then lunch by 12:00 noon. After lunch, you will be taken on a lake tour. The lake tour might take longer so be excited. Dinner will be served at 6:00 PM followed by a short cultural show showcasing T’boli dances, songs, and musical instruments. Be prepared as well. You might dance with the performers. Tour rates start at 2,500 ($58) for two people but it will be lesser if you come in groups. If there are 8-10 people in the tour, you will only pay 1,780 ($41.40). You just add 100 ($2) during peak season. The resort offers transportation packages good for 15 persons at 12,000 ($280) from Davao City to Lake Sebu to Davao City. If you are from General Santos City or Cotabato City, the round trip transportation package is 6,800 ($158) for 15 persons. If you are from Marbel, Tacurong, or Isulan, the round trip transportation package is only 5,300 ($123.25) for 15 persons. If you are the backpacker type of traveller, just follow these instructions. For more information about Punta Isla Lake Resort, please contact them at +63919-451-5015 or at +63905-289-5134. For reservations, you can email them at reservations.puntaisla@yahoo.com. the 2500 for 2pax is for 2 days or 1 day only? 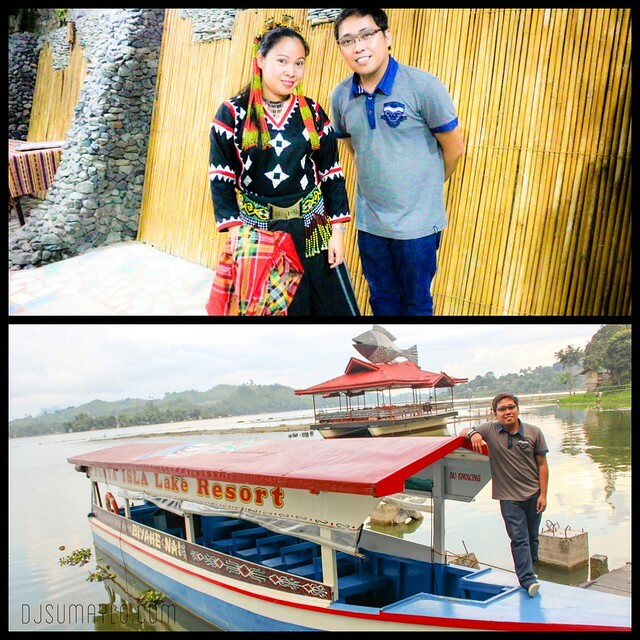 Hello, thank you for the blog about Lake Sebu. I would like to ask How many days and nights for this tour package?